messes remain and love remains…jerry is now engaged in his daily evening ritual of helping the kids fall asleep…he will come down a bit dazed and disoriented after an evening nap…but these moments of love are sacred. 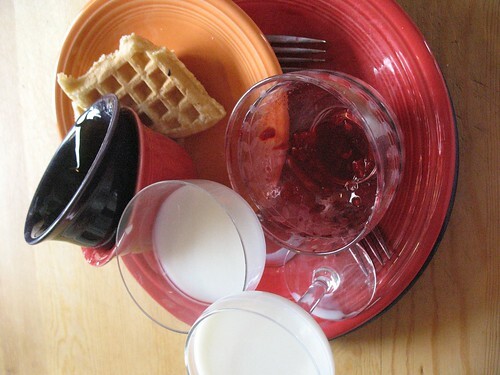 our day began with a fancy breakfast (other than the pyrex measuring cup still holding the warm berries), pink and red outfits, off to school with piles of valentines and the promise of family movie night to come. may you remember the love that is true and steady. I’m just catching up with your blog here, and I must say you are so awesomely inspiring! Your kids must have felt so special this morning to be the guests of honor at such a festive table. This is great. And thank you for sharing the fun, creative, playful side of life, and also how to handle the “train wreck” moments with such grace. It’s easy to think you’re the only one who has days that stretch all of your limits until someone else says they’ve been to that party, too! 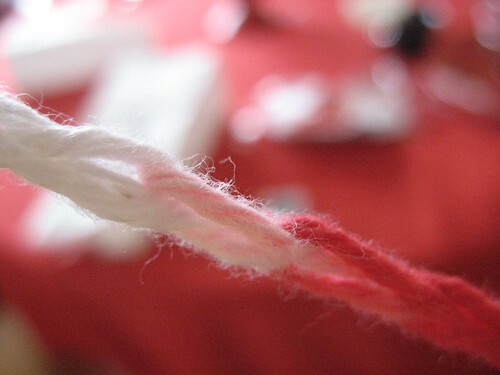 “Even when the strand may be pulled and thin” – love that! Thanks for that sentiment. Happy Valentines Day my new friend! Looks like a day full of sticky smoochy lovin’. And say… is that Fiestaware? 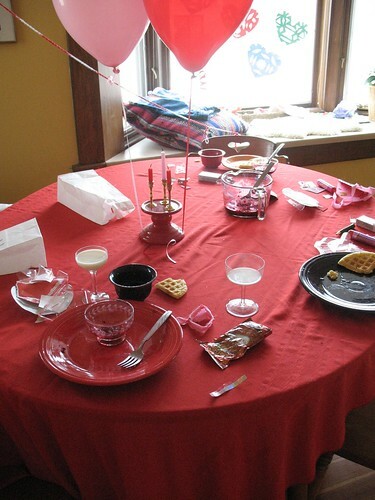 My mom always put together a special and fancy valentine’s breakfast for all of us on Valentine’s Day too. 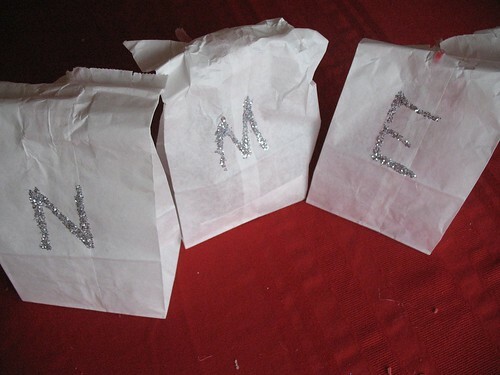 Angel food cake, little debbie hearts, balloons, cards, punch, gifts… ahhh. Loving the memories. Hoping I have the strength to continue that tradition. Congrats to you and Jerry for having that energy. Now I want you to be my mom, too! It looks like you guys had a really Happy hearts day!! There’s not much that beats a day full celebrations in pink and red with lots of chocolate! What a relief and joy it is to see that others are as taken with Valentine’s Day as I am. My dear mother instilled within me a love for this holiday. I never will think of valentines without thinking of Mom. So happy to see you celebrate this holiday with such flair! Well. those must be the prettiest dirty dishes I’ve ever seen! And I have to tell you, everytime I come to your site, my kids ask to watch the Sally Bally video.